Formatting a disk has been around for a very long time. 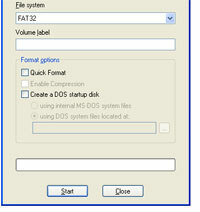 It is used whenever you want to delete everything in an entire partition or when you install a new operating system. It ensures that none of the old files that existed there before would be left behind. Since having files that were from a previous operating system, especially if it was identical to what you are installing over it, can cause bugs and glitches. Whenever you do a normal format on a disk, it usually takes a very long time. Some people wrongly perceive that this is to make sure that every single file in the partition is totally deleted and cannot be accessed again. But this is not true, formatting a partition would only mean that the file allocation table gets cleared up so that whenever the OS accesses the disk, it would think that there is nothing there. When that happens, the operating system would then write files over the old ones whenever it has to. But if those files are still not written over, file recovery software can still look into your disk and recover them since formatting doesn’t totally remove them from the disk. So what is taking so long when you do a normal format? Whenever you format a partition, the software does a disk check on it right after it deletes the partition table entries. This is done to make sure that your disk is still functional and doesn’t contain any bad sectors that could potentially ruin important data. This process takes an unbelievably long amount of time, especially if the partition that you are formatting has a very large capacity, because the software would write data on a sector and read it back to ensure that the data is right. It would do this a couple of times for every sector in the disk. Given the number of sectors in a disk, it is understandable why it takes so long. Doing a quick format is just like the normal format but skips the disk check part. It is so much faster compared to a normal format but you must be pretty sure that your disk is still pretty reliable. Or else you should be prepared to lose some amount of data. Since most data on a personal computer isn’t really that important, you can counter this by saving all you important files into another disk. Ben Joan. "Difference Between Format and Quick Format." DifferenceBetween.net. July 27, 2011 < http://www.differencebetween.net/technology/difference-between-format-and-quick-format/ >.